Coming at you live from RuthCon, it’s The State of Games! Jessica and I got a chance to record in person this episode at RuthCon 2016, hosted by our friend Ruth Boyack. It was pretty awesome, and better organized than both Origins and GenCon combined. TC joined us via Skype and we talked about some pretty geeky game design business, but it turned out to be one of our best episodes yet. 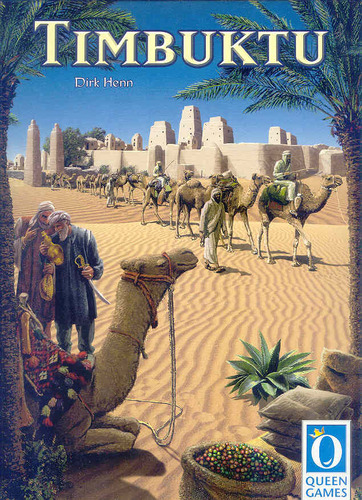 So get comfy, grab your encyclopedia of classic game design, and crank it up! Please visit our new game store! You can now find all the Dice Hate Me Games titles at the Greater Than Games store! The Dice Hate Me Games Newsletter! Sign up for the best in behind-the-scenes goodness from our hearts to yours. Like what you hear? 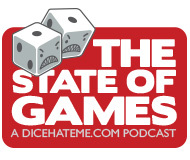 Subscribe to the State of Games podcast RSS feed! It was time for us three to get a few things off our chests. So maybe you like what you see, and you wanna tell me, but you're shy and won't comment. I understand. It's cool. Maybe you've got a tip for a hot new game and you want me to take a look. Or maybe - just maybe - you're a big game company and want to advertise on the site, or offer me a six-figure salary. Whatever the occasion, if you wanna drop me a line, send it to my email address and we'll talk. No big whoop. This blog is brought to you by the letters C, K, and the number 23. Fnord.